I love Oahu, I love adventuring and seeing new things, and I love sharing with others! Oahu is a beautiful place to visit, and all kinds of fun—and sometimes even educational—adventures await you there. If you're anything like me, you'll love the island so much that you will be planning your next vacation there before you even finish your trip. Although there are many people who are content to spend their Oahu vacation soaking up the sun on Waikiki Beach, my spirit is a little too adventurous for that. 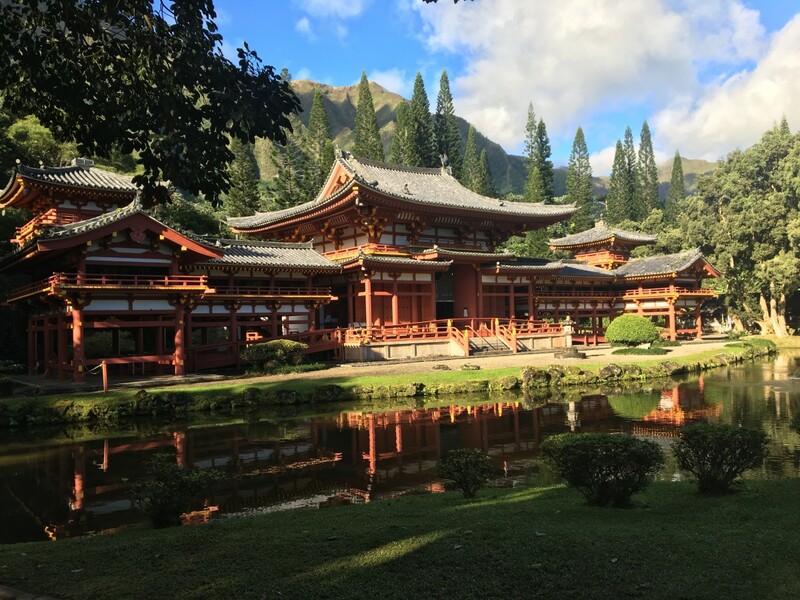 While this list will include a few activities that are in or near Waikiki, the majority of the items on this Oahu bucket list will allow you to experience the beauty of Oahu from outside the main hotel zone. By the way, I've included interactive surveys for each category, so please give your input and let other people know which places you like the best! Also, please feel free to leave suggestions of your favorite places in the comments below! The authentic Hawaiian food here is amazing! I can't say enough about it! 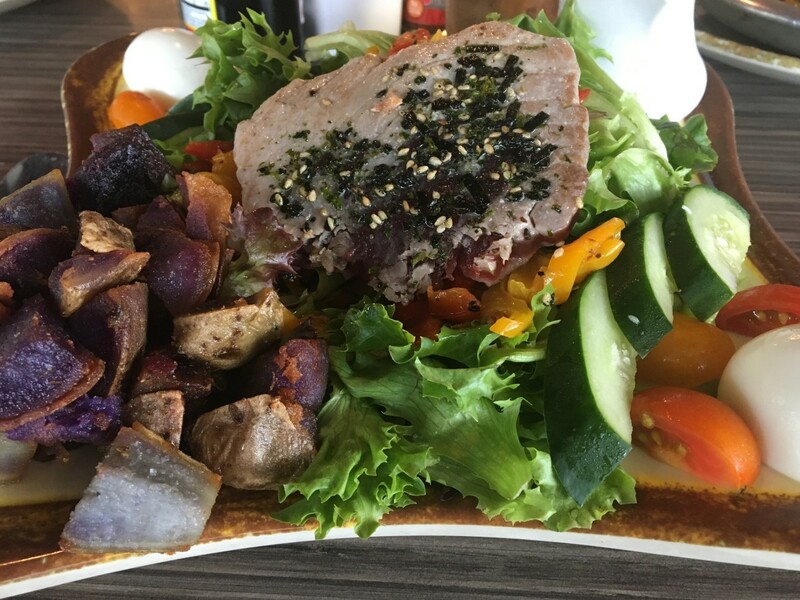 My husband got the Loco Moco, and I got the Seared Ahi Salad with sweet potatoes on the side (see the picture above). Just thinking about this place is making my mouth water. Don't miss a visit to Highway Inn! 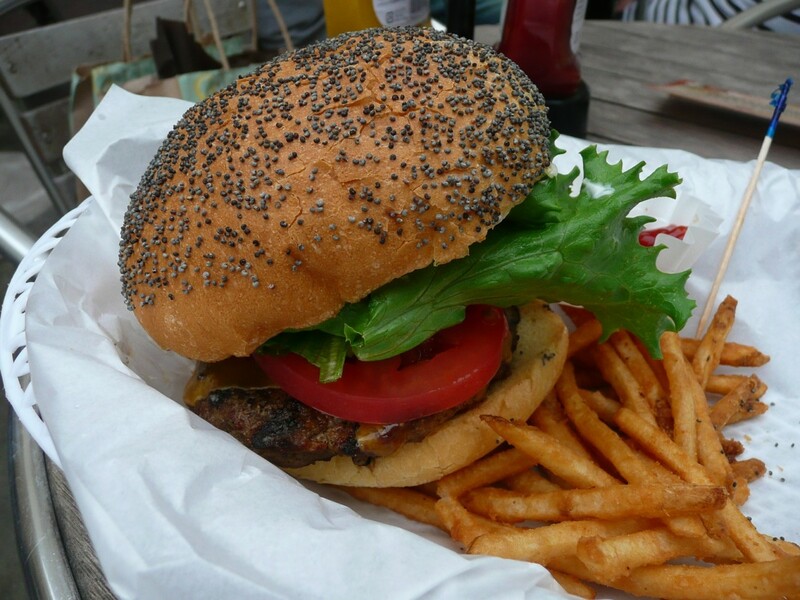 Kua Aina knows how to do burgers right. It was so good that we went there twice! You absolutely have to get a burger with pineapple and avocado on it! So delicious! If you're not a burger person, they have other sandwiches too. I tried the eggplant sandwich, and it was quite tasty. Buzz's was so delicious and very conveniently located near Lanikai. My husband and I sat at "The President's Table" where the Clintons and the Obamas sat during their visits to the island. I had the scampi spinach salad, and it was so good! I remember thinking with every bite that it was amazing how the restaurant had come up with such a perfect combination of flavors in such a simple salad. Pounders is found at the Polynesian Cultural Center entrance, right before you have to pay for your cultural experience. The food there is delicious! I loved the mahi-mahi curry. Also, make sure to check out Aunt Emily's Bakery located inside the restaurant. The taro rolls, coconut rolls, and pineapple rolls are to die for! Those are the only things I tried from the bakery, but I have a feeling everything there is probably equally delicious. One of my absolute bucket list items in Hawaii was fresh coconut ice cream, and Magnolia did not disappoint! Their homemade all natural ice cream was amazing! Some tips for when you go . . . Do sample a ton of flavors! Do absolutely definitely try the "purple" flavor! So delicious! The dessert this place is the most famous for is their "Halo Halo" treats, which did look amazing to me, but I was so hooked on the coconut and purple ice cream that I didn't branch out. Do go to this place! You'll probably see plenty of them while you're out and about exploring. You should stop for at least one of them to enjoy a fresh delicious treat! The guy at the stand where we stopped was so cool. He taught us a lot of cool things about coconuts, and even gave me a hat woven from coconut leaves. Everybody says to check them out and that it's worth it to wait in the lines . . . truth be known, we didn't stop at any, but "everybody" can't be wrong, right? They're probably worth stopping for. This is also on the everybody-loves-it list. I can't testify as to the deliciousness myself, because I was too busy eating the ice cream at Magnolia, but I bet the shaved ice is just as yummy and refreshing as everybody says it is! What's your food place of choice on the island? 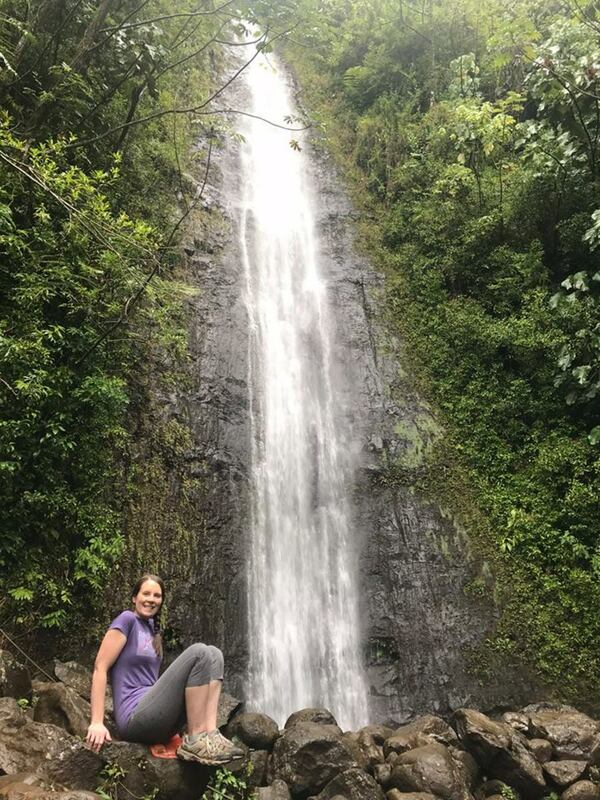 I know for most people sunbathing on the beach comes above hiking on the list of things to do in Hawaii, but I love to hike, and I wanted to make sure I got my fill of hiking adventures while I was on the island. I was not disappointed! Every single hike I did was amazing and well worth the effort put in! 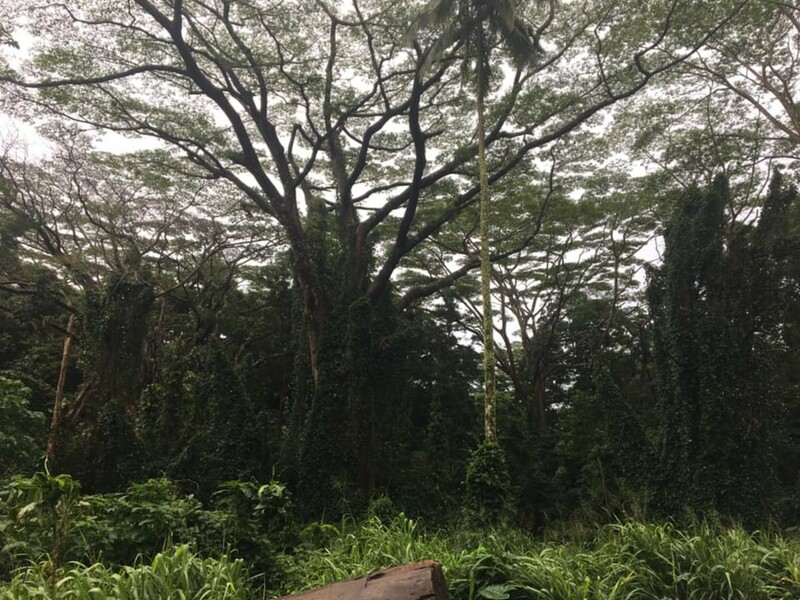 The Manoa Falls trail takes you right into the lush green jungle of Hawaii. In fact, you might recognize some of the scenery since parts of Jurassic Park and Lost were filmed on this trail. Although the 150-foot waterfall is impressive and beautiful, for me the jungle landscape was what totally won me over on this trail. I've done this hike twice now, and loved it both times. It's not a really hard hike and has a lot of bang for its buck. I don't even have words to describe the view from the top of Pillbox hike. You have a 360-degree view with breathtaking beauty in every direction. I would consider the hike a moderate difficulty level with some steep parts where there are ropes provided for assistance. I hike a lot, so I didn't think it was too bad, but it would definitely be a bit challenging for less experienced hikers. That being said, I saw a lot of people there that didn't seem like they hike much, and they were able to make it to the top. Just a few pointers for this hike . . . there isn't any parking at the trailhead, so you will have to find parking in the neighborhoods below and walk up. Both the hike and the nearby beach are extremely popular, so you probably want to go somewhat early and preferably not on the weekend. There are some really steep drop-offs on this hike, so if you choose to bring children, you will want to keep a very close eye on them. Also, I read a trail report saying that this hike gets so muddy after rain that it's nearly impossible and after hiking it myself on a dry day, I'd have to agree that there's no way I'd want to do it if the trail was wet. 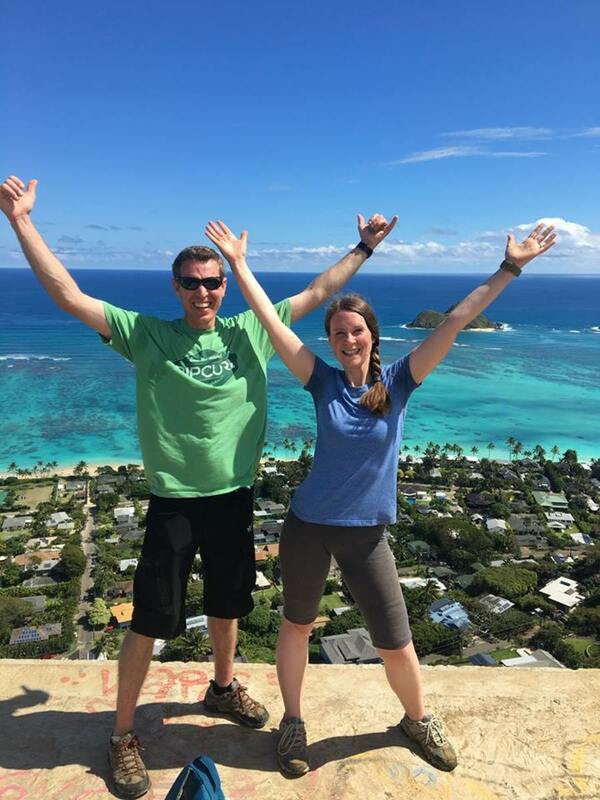 This is definitely one of the most famous hikes on Oahu, and rightly so! It's not every day that you get to hike inside a volcano crater and come out on the top to enjoy spectacular views. If that sounds like something you'd like, you've got to do Diamond Head hike! It's not super long, but you end up climbing a lot of steps on your way up. Don't let the steps detour you though, it's worth it! The downside of this hike is that it is extremely popular, so you'll feel like you're just marching along in a giant caravan up and down the hill, but we found it fun to do some people watching along the way, so bring a good attitude and make the best of it! One warning on this hike is that they don't let any hikers up after 4:30. My husband and I initially went a little later in the evening thinking we could watch the sunset and ended up having to come back a different day. One other tip is that it's cheaper for pedestrians to get into the park than vehicles and there's a scenic lookout not very far from the park entrance. We parked at the lookout and walked in to save a few bucks. 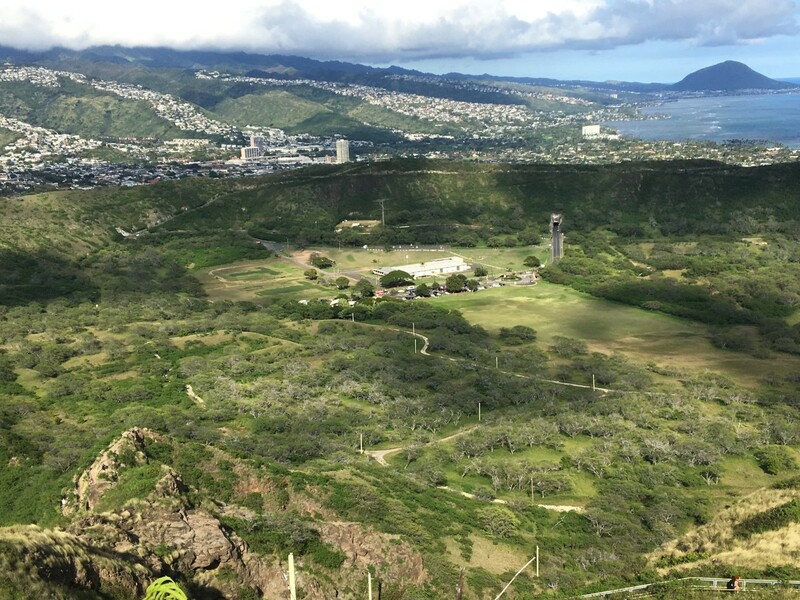 If you didn't get your fill of stair climbing at Diamond Head, you'll want to make your way over to Koko Crater trail. This trail consists of 1,048 steps held down by railroad ties. 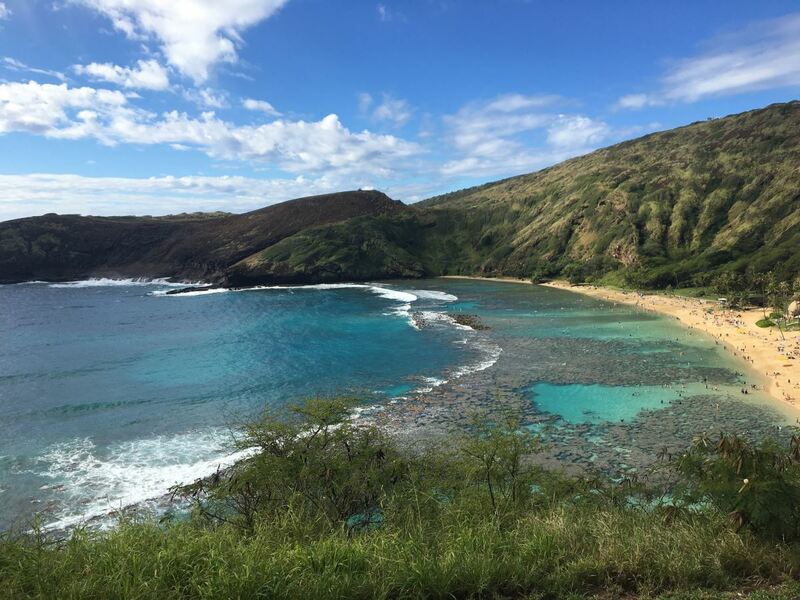 I saw it from the road as I was heading to Hanauma Bay and thought if I would have known about that trail sooner, I definitely would have wanted to give it a try. This trail also boasts of spectacular views at the top, but prepare for a workout! If you dream of swimming at the base of a waterfall during your stay on Oahu, Waimea Falls is the hike for you. This is one I opted not to do since it's within the Waimea Valley park that has a fee that was slightly more than I felt like paying. That being said, the hike goes through a beautiful botanical garden and leads you to the opportunity to swim at the bottom of a waterfall, so if I would have had more time, I probably would have been willing to pay the price for this one. 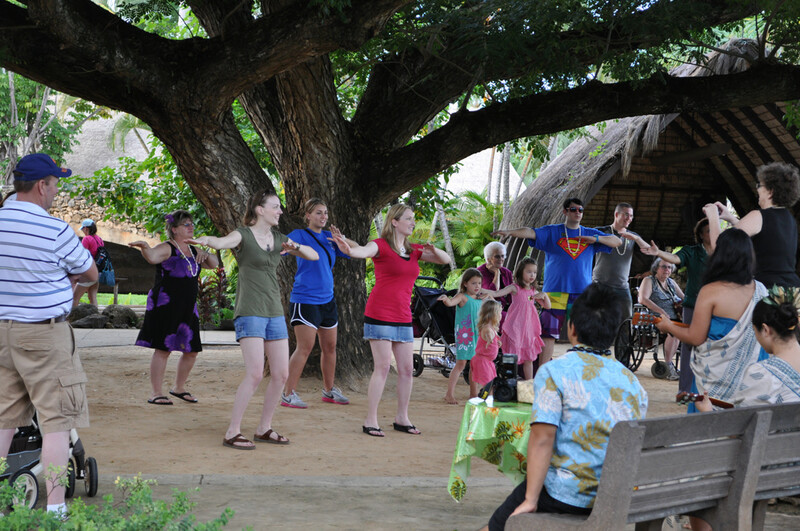 The park also provides some cultural and educational experiences that could be fun. Which hike do you like the best? 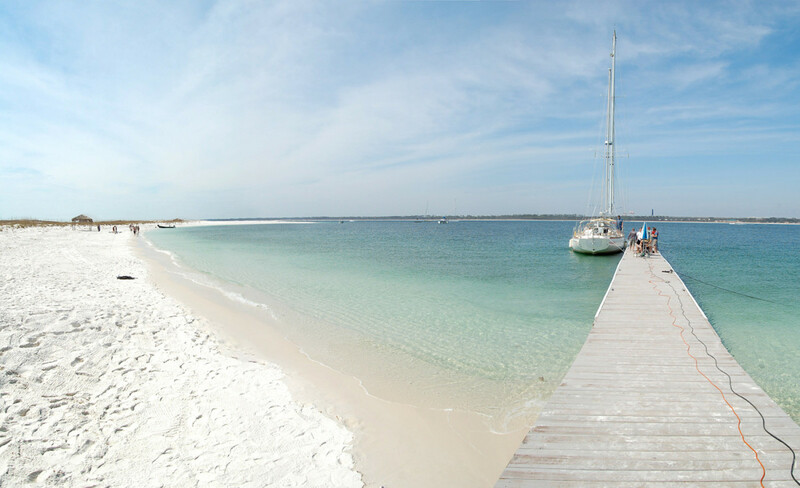 Who's Ready to Enjoy Some Relaxation On the Beach? 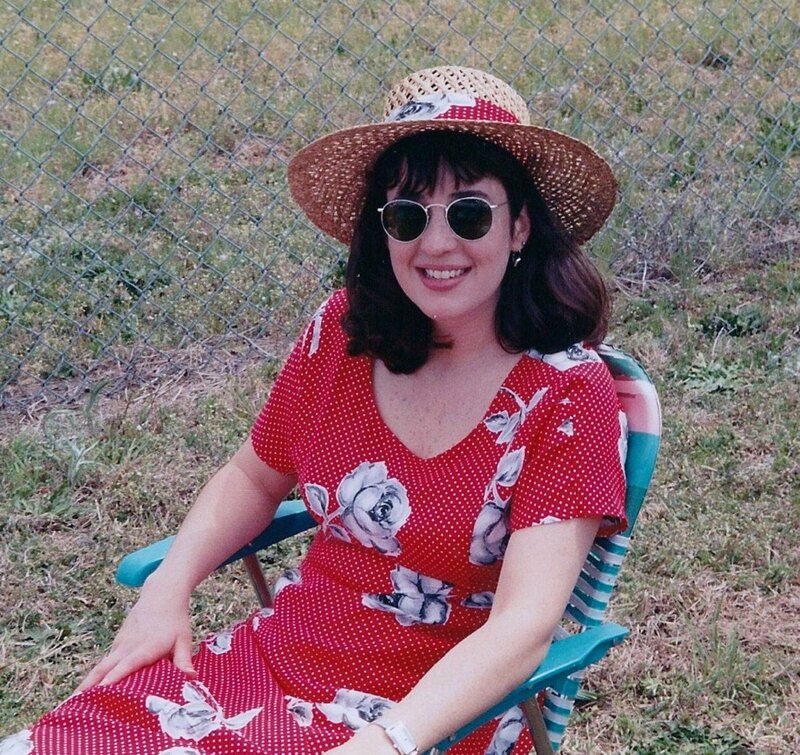 No matter how many other things you are trying to pack into your vacation schedule, make sure to plan plenty of time to just relax at the beach and soak in some sun (with sunblock of course). There are a ton of beaches to choose from, and we only made it to a handful, but I'll share a few that we checked out as well as some we didn't make it to that have a reputation for being great. Waikiki Beach is definitely one of the more popular beaches in Hawaii. When you get there, you'll probably feel like you've already been there before, because of all the movies and television shows it's featured on. 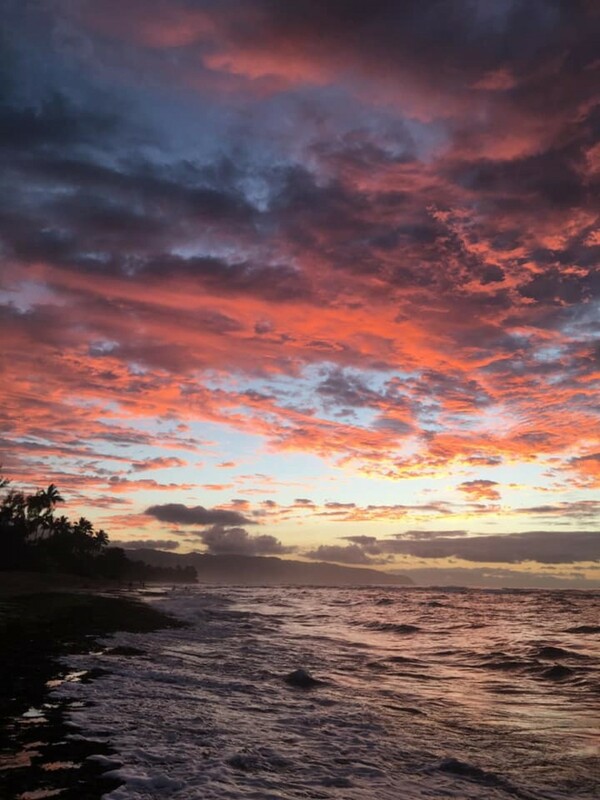 This beach has a fantastic view of Diamond Head and is a great place to enjoy the sunset before enjoying the nightlife of Waikiki. If you're struggling to find somewhere to park, try near the zoo or aquarium. Some of the parking in those areas even becomes free in the evenings. Someone described this place to me by saying, "If you pictured the perfect beach in your mind, you'd be picturing Sunset Beach." 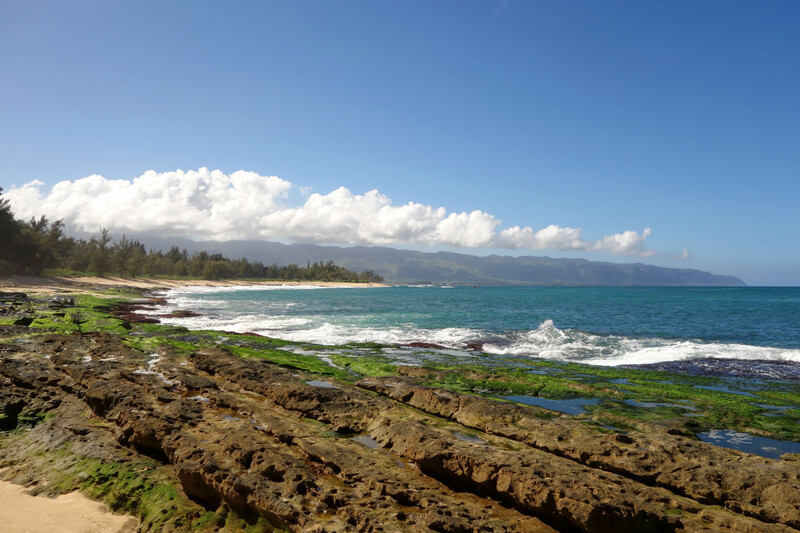 Being on the famous North Shore of Oahu, this beach is ideal for surfing, but if you bring children with you, make sure to keep an eye on them. The waves can be pretty rough here, especially in the winter. If you aren't up for surfing, this is a great place for a sunset picnic. Laniakea Beach is known for being a great place to see green sea turtles. They like to swim around in this area and are often found just relaxing on the beach. The best time of year to see the turtles is in the summer, but it's definitely worth stopping by any time of the year. My husband and I enjoyed a beautiful sunset there. This beach is one of the top surfing locations on the island during the winter. This means unless you are an expert surfer, it's a great place to observe the sport, but not a great place to learn or practice the sport. That being said, during the summer, Waimea Bay is a lot calmer and is a great place for all kinds of water activities including cliff jumping. This beach is the home of the world famous "Bonzai Pipeline." Much like Waimea Bay, Ehukai Beach is a great place to watch people surf, but a very dangerous place to surf if you don't know what you're doing. Don't attempt swimming here unless you're there during the summer, and even then you might want to check with a lifeguard for water conditions. Have you ever heard that famous Hawaiian song about "going to a hukilau"? This is the beach where the hukilau (a traditional Hawaiian fishing technique) became a popular activity for tourists to try. The popular hukilaus that inspired "The Hukilau Song" were originally a fundraising events to replace a local church that burned down. Hukilau Beach is pleasant, but can have rough water in the winter. Also, keep in mind that the parking lot is closed on Sundays. You can still walk in though. Lanikai actually means "heavenly ocean", and this white sand beach with crystal clear water certainly is heavenly. 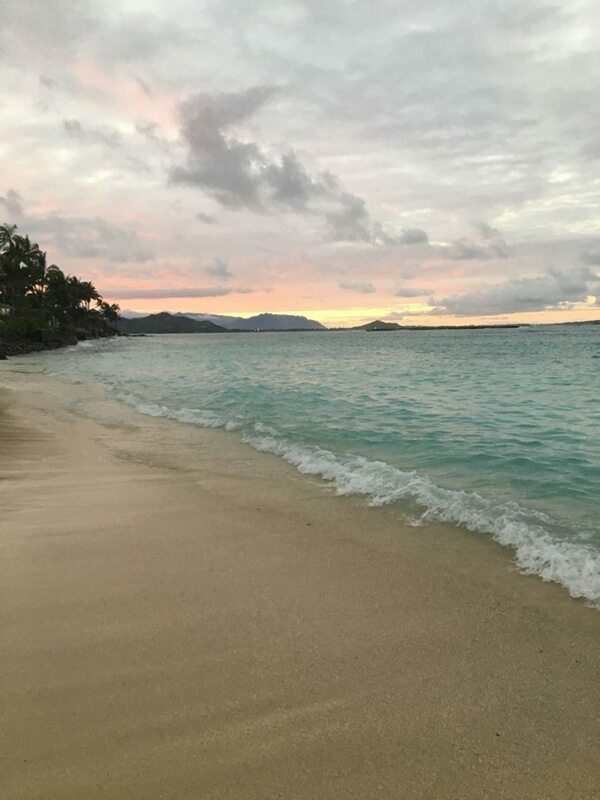 My husband actually told me not to mention Lanikai Beach on my list, because he didn't want it to become overcrowded, but I couldn't keep this place to myself. It's so perfect. We ended up driving out there three different times during our one week stay. There's no official beach parking, and it is a pretty popular place, so try getting there early and avoiding the weekends to have an easier time finding a place to park. It would truly be a shame to go to Oahu and not get some snorkeling in. The sea life around the island is beautiful and abundant. I did want to share a few quick tips before I suggest locations though. Make sure to buy a type of sunblock that is safe for coral reefs, and then apply it often. I can't even count how many nightmare stories I've heard of people having a magical time snorkeling and then having the rest of their trip ruined because of severe sunburns. 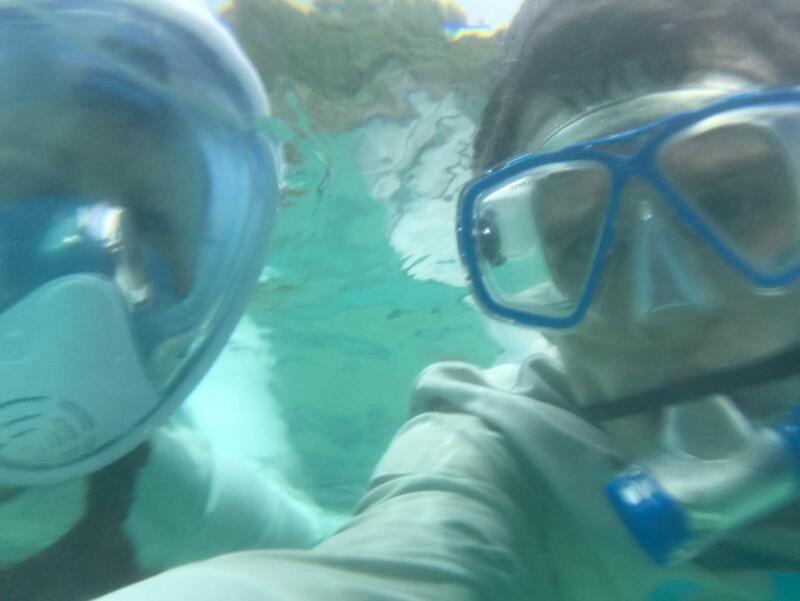 Snorkeling can be a lot more pleasant now than it was back in the good old days. The full face masks cost more than goggles and a tube to breathe out of, but it's well worth the extra cost. Go for a full face mask for easier breathing and for a better view of the fish! Also, be respectful of the beautiful wildlife. Don't get too close, and avoid touching the coral. Even if it looks like it's already dead, it's best not to touch it. It was sad to me to see how many areas of the reef are less than flourishing because of too much human contact. This is the most popular place to go snorkeling on the island and for a very good reason . . . It's spectacular! Hanauma Bay is beautiful and there is so much wildlife here. Along with seeing lots of beautiful fish, my husband and I saw a sea turtle and a small octopus while snorkeling here. Go early and avoid weekends if you can in order to experience the bay with fewer people and clearer water. Check out the link for pricing. I've heard Shark's Cove is one of the best places to snorkel on Oahu. I have friends who spent multiple days here. That being said, the time of year matters. We visited in February and the water was way too rough for snorkeling. This is definitely more of a summer destination. Also, there are a lot of rocks you will have to navigate to get down into the water. From what I hear, it's well worth the effort, but you might want to make sure you have some good water shoes to protect your feet. 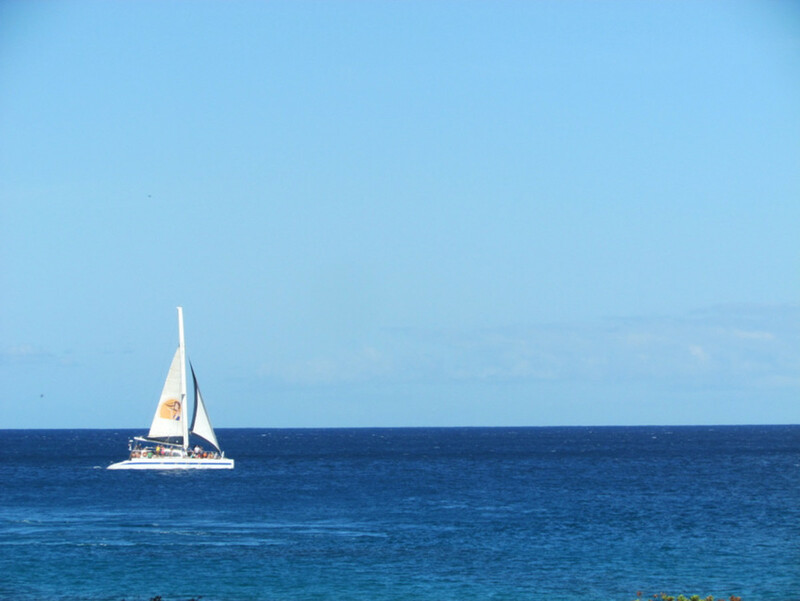 Kuilima Cove is an ideal place for first-time snorkelers and a great place to see sea turtles. There are signs posted at the beach with safety instructions, so just make sure to be aware of the safety guidelines before you get in. 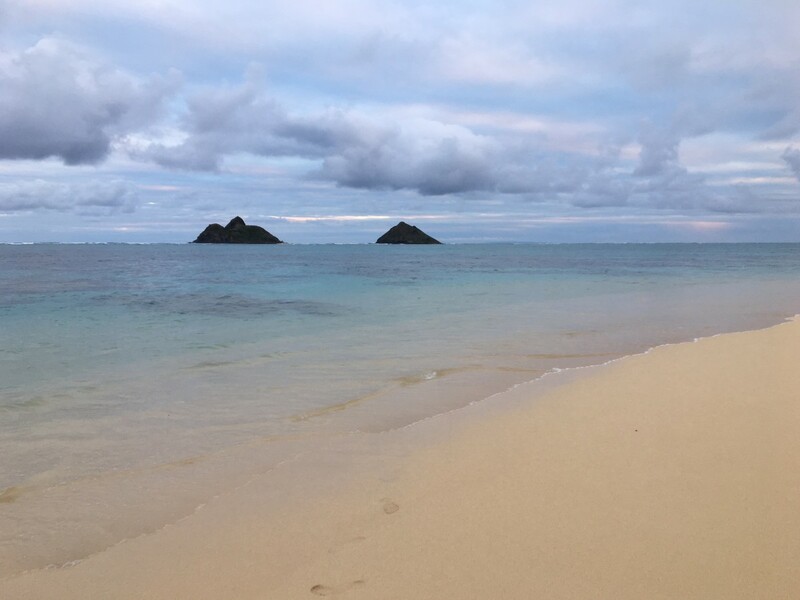 Because Lanikai Beach is on the windward side of the island, the snorkeling conditions here can be pretty hit or miss. That being said, if you manage to catch this place on a pretty smooth day, the coral and the fish are beautiful. We noticed that the coral seemed more alive and vibrant here than at Hanauma Bay where it's obviously been touched by a lot more people. 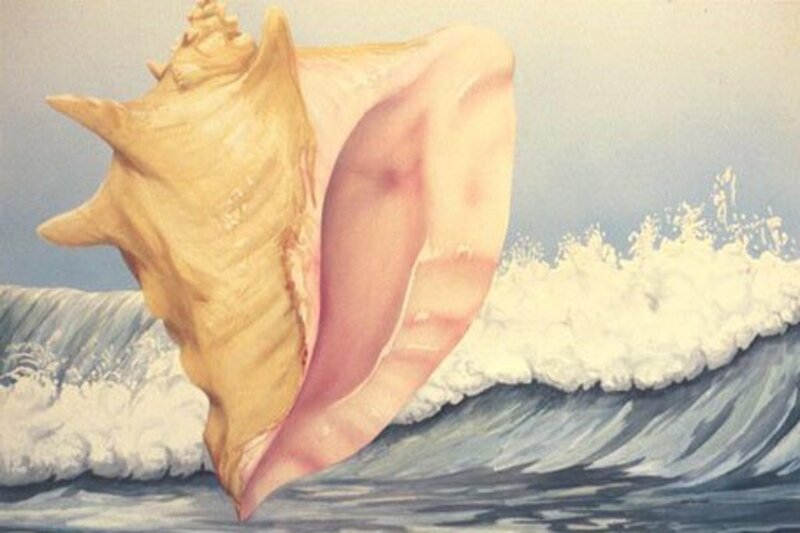 That being said, please protect that pristine, untouched look by not touching the coral. Which is your favorite snorkeling location? It's Time to Get Cultured! 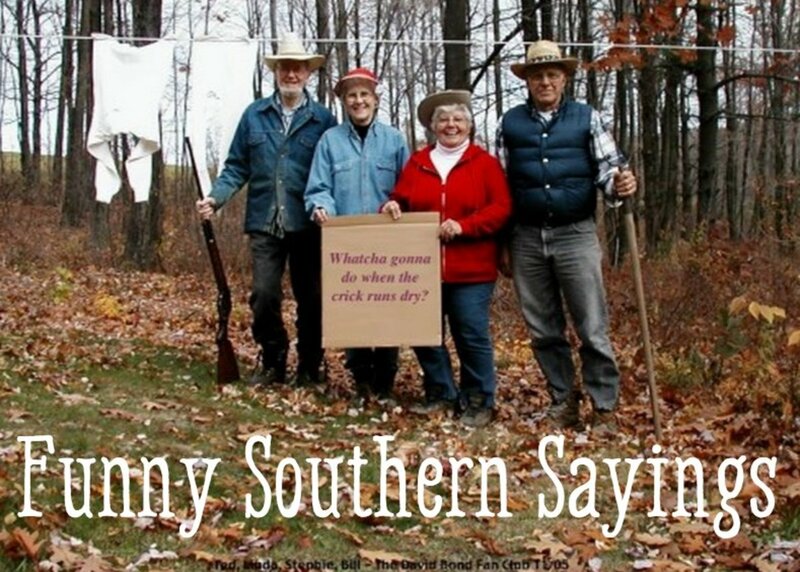 I don't know about you, but when I visit a new place I love to learn about the culture of the people who live there. 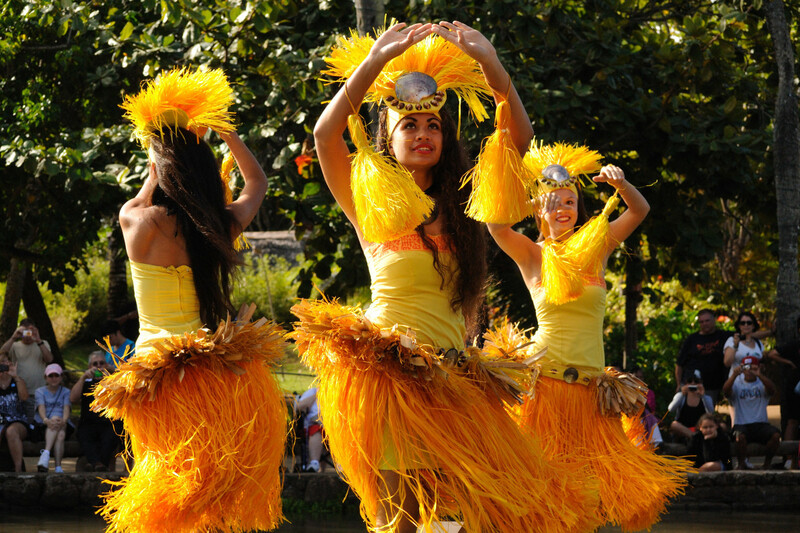 All of the locations provided here will give you opportunities to learn about the culture and history of Hawaii. The PCC is a must if you want to learn about the culture and history of the Polynesian Islands. Trip Advisor recently voted it one of the top 10 experiences in the United States. Within the cultural center, there are six "islands" that represent the cultures of Hawaii, Tonga, Samoa, Tahiti, Fiji, and New Zealand. 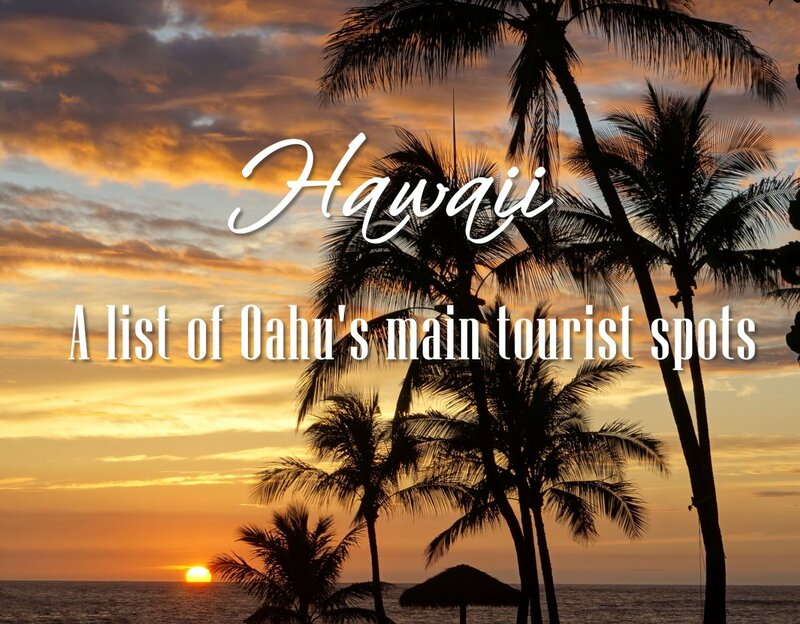 If you want to learn a bit of history, see a lot of talented dancers (and even have some dance lessons yourself), attend a luau, see a night show that will knock your socks off, and do so much more, this is the place for you. This is a historical place that you won't want to miss. You will leave Pearl Harbor feeling like a different person than you were when you walked in. It's a solemn location, so come prepared knowing that there is a lot of gravity surrounding the events that happened here. Out of respect for those who lost their lives, talking is discouraged during the USS Arizona Memorial tour. There are over 1,300 free tickets to the USS Arizona Memorial available daily. 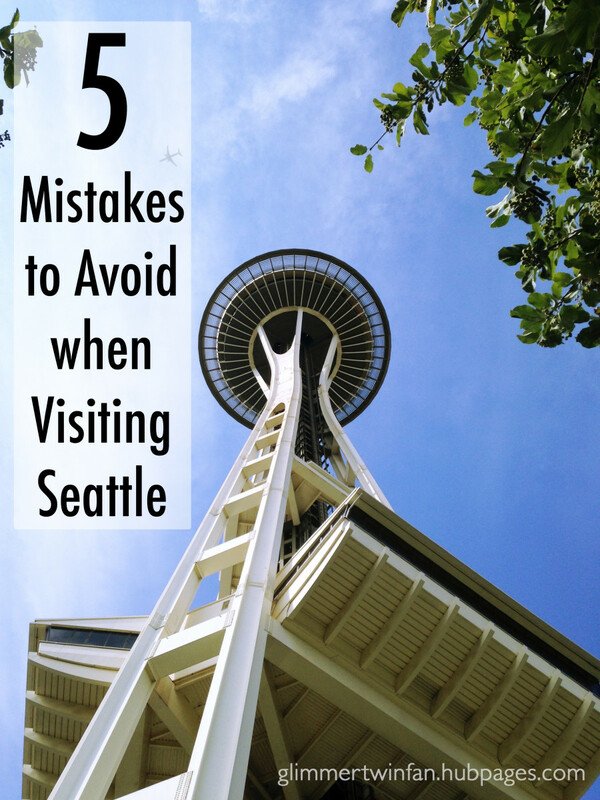 On top of that, you won't want to miss out on the other tours and museums available in the vicinity. If you are hoping to get a free ticket, you will probably want to arrive early, but you can pay for a ticket if there aren't any free tickets available. Iolani Palace is the only official royal residence in the United States. It is a great place to learn about the history and culture of Hawaii. After the overthrow of the Hawaiian monarchy, this historic building was used as Hawaii's capitol building for almost 80 years. See the website for tour prices. Which cultural/historic site is your favorite? Feel free to leave your own suggestions and comments relating to Oahu! All suggestions are very welcome!!! Thanks! I hope it will be useful to a lot of people!